Attaches to a 40" x 48" pallet. 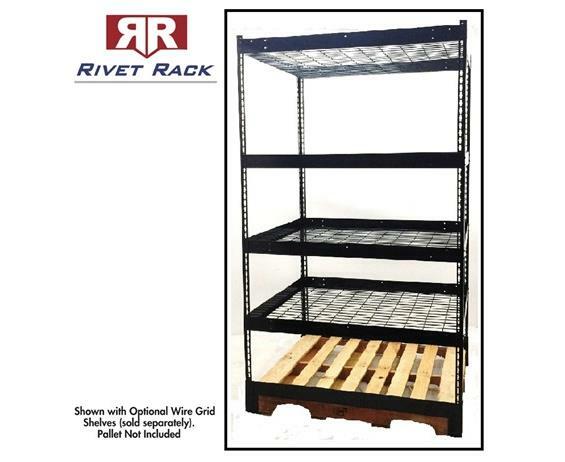 A unique pallet based steel rack for transport, storage and return trips. Durable black powder coat finish. 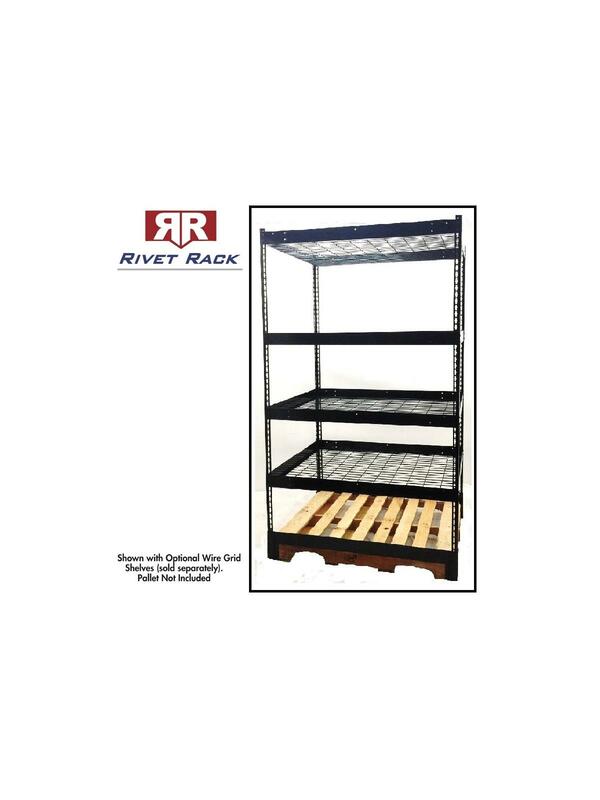 Patent pending 14 ga. steel base brackets clamp and secure the rack to a standard pallet. No fasteners required. Freestanding or pallet based as shown. Includes 3 adjustable shelf layer brackets with 2" lip for optional shelves (sold separately). A viable alternative to expensive transport carts. 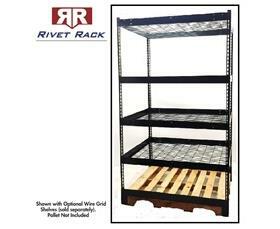 The Rivet Rack is truly a better way to transport products. 1500 lb. capacity. Ships "KD". FOB Shipping Point.